Leo Vegas is an online casino created as mobile first and then became available on desktop, designed to work smoothly on iOs and Android. With its custom built software and design, LeoVegas has taken the industry by storm, providing world-class game entertainment. The company’s openness to innovation in mobile technology has awarded players with a powerful casino experience and royal service, making them Europe’s No.1 mobile casino. Established in 2010 and licensed in Malta, Leo Vegas is a new but quickly developing online casino, steadily gaining recognition in the online gambling world. Presenting the best line up for casino games and slots with over 500 games to choose from, LeoVegas have an unbelievable variety of game types and providers. Their wide variety of games include Poker Table games, Video Poker, Card games, Roulette, Slots and the ever popular live games so there is something for everyone! As ‘Mobile first’ is part of their DNA, this streamlined mobile casino offers hundreds of games on mobile with no download. But it doesn’t stop there, as their fan base spreads to tablet and desktop. A perk that players are sure to love is the access to try before they buy. Before you deposit real funds or even before registration, LeoVegas allows players to try each of their slot games just for fun! 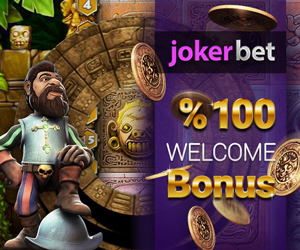 Our Welcome Bonus is yet to be beaten with a 200% match bonus up to £1000 with 200 free spins! This includes 20 no deposit free spins, whereby players have a choice of three games to spend them on including the much loved Starburst, Twin Spin or Jack and the Beanstalk! Leo loves mobile, they offer lots of promotions via social networks, so players are always aware of what’s on offer while they’re on the go! Players can choose to opt in or out via sms and email, meaning they’ll never miss a trick! The VIP loyalty scheme means that loyal players never go without, with a points system allowing them to reap rewards! Bank Wire, MasterCard, Neteller, Skrill and Visa. NYX, NetEnt, Microgaming, Viaden Gaming, NextGen, Cryptologic, Play‘n GO, OGS, IGT, Bally, ELK, Nektan, Merkur, Yggdrasil, iGaming2Go, WMS, Odobo, Playtech and Thunderkick.